Discovering Meringue Recipe Secrets: Light White And Crispy Or Soft And Chewy? The most well-known method of baking is called French meringue: cold egg whites are beaten till stiff peaks, the sugar is added gradually during the process. Cream of tartar or lemon juice can be added for stabilization. 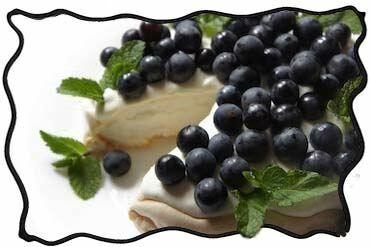 Some recipes, such as pavlova, call for cornstarch which serves as additional firming agent. For Italian meringue sugar is first melted into hot syrup and then added into the beaten egg whites. This method makes a softer texture which can be used in various tarts and pastries. Swiss meringue method requires the use of double boiler: egg whites are heated in a double boiler while beating. This forms a rather dense glossy foam which is subsequently baked. The very important part of meringue preparation is baking. If the aim is to receive a meringue which will be as white as possible and also dry and crispy, then baking should be done at rather low temperature, starting at 250°F (120°C) for about 10 minutes and then lowering down to 212°F (100°C). Meringue should be baked about 1.5 - 2 hours in a well-ventilated oven. If your oven doesn't have a special regime, you may simply leave the oven door ajar to let the air flow in. After that meringue is left to cool down in the oven. Another method of baking can be used if the aim is to receive a meringue brown at the top and soft inside. In this case it should be baked fast and at higher temperature, about 375°F (190°C). Time depends on meringue size and height, usually it will not more than 20 minutes. For soft meringue the cake is taken out of the oven and served immediately.